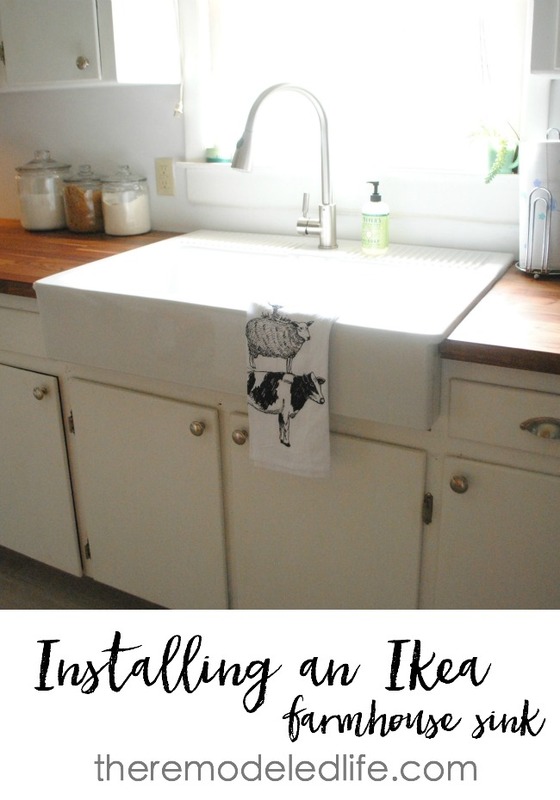 Lately I have been sharing about our current diy kitchen remodel project in steps, from demo to prep work to installing ikea butcher block counters and today I get to share about installing our farmhouse sink. You guys, this sink is the bomb.com - (and yes I was teenager in the 90s.) But seriously, I really can't say anything bad about it. 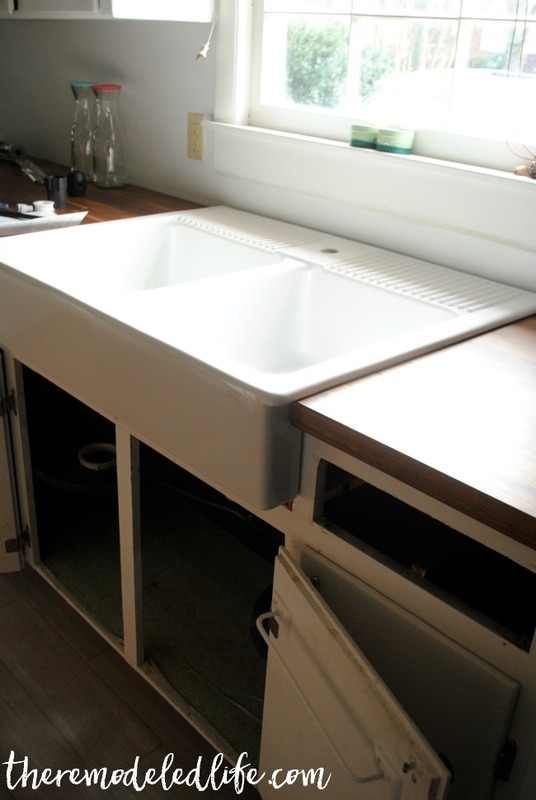 If you are in the market for a farmhouse sink no doubt you have looked at this one - its the domsjo sink from ikea. 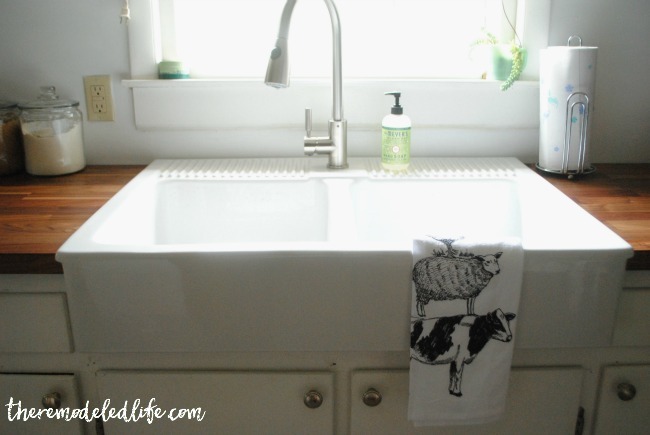 By far it is the best priced farmhouse sink for its size out there. Its such a great deal that we had to wait on a list for months to get one. So know up front your closet ikea may not have one in stock if you just randomly show up. Call before you go! Now to be clear, we have currently been using this sink for about 2 weeks so I can't speak on longevity - but still I love it. For a little background (if you are just joining in) we decided recently to upgrade the majority of our kitchen - pretty much everything has been replaced besides our cabinets. This made installing counters and this sink a little different since they are from ikea and made to install really easily into their own (ikea) cabinets. But it can easily be done and we are living proof. It just took a little extra work. 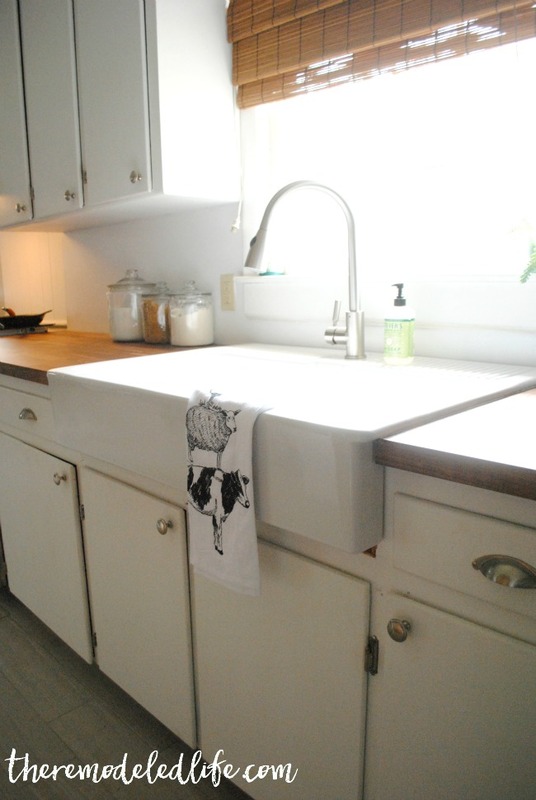 The fist steps in this process was back in our demo days which involved removing the old plumbing and cutting out the area in our cabinets in which this sink was going to sit. Next, we cut our counters to size and cut in the notches for the sink. After that we secured our counters in place and we were ready for the sink to go in. So that brings us to the picture below - the mini beams. This sink is massive and heavy - no exaggeration- and needs really good support. If you look at the instructions from ikea you can see that the cabinets you buy from ikea have this support already built in. 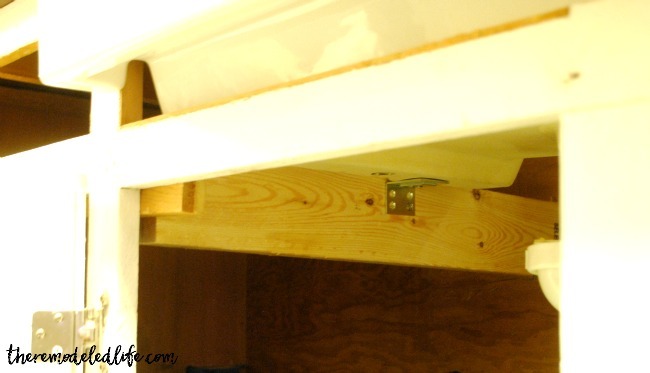 To make it work for us, Justin built two "mini beams" (one for each side of the sink) under the cabinet for it to rest on and to be secured to. Honestly, this was the most complicated part of the whole process...besides maybe the plumbing portion..but this is all about the pretty stuff right now. After the sink was firmly in place the next thing we did was seal around it (not pictured). We used a caulk gun and some silicone based sealer around the edges of the sink. There are some great tutorials out there but basically we taped off the sink and counters with painters tape and ran the caulk down the crease, wiped with a damp cloth and removed the tape. I'm not going to lie I was pretty sure I was going to ruin the counters at this point but it all worked out. Just take my advice and have some damp cloths readily available. We still need to fix the bit underneath the sink - its on our immediate to do list. I'm also seriously considering painting the lower cabinets a darker gray...to be continued. But look how far this little kitchen has come! I just love this before and after. Cool thing is, we still have a few more things to do and it already looks a bajillion times better. I am a believer that a little goes a long way and patience pays off. We have slowly worked to get this thing to where we want it and have not broken the bank at all. Everything we have done has been within a small working budget. 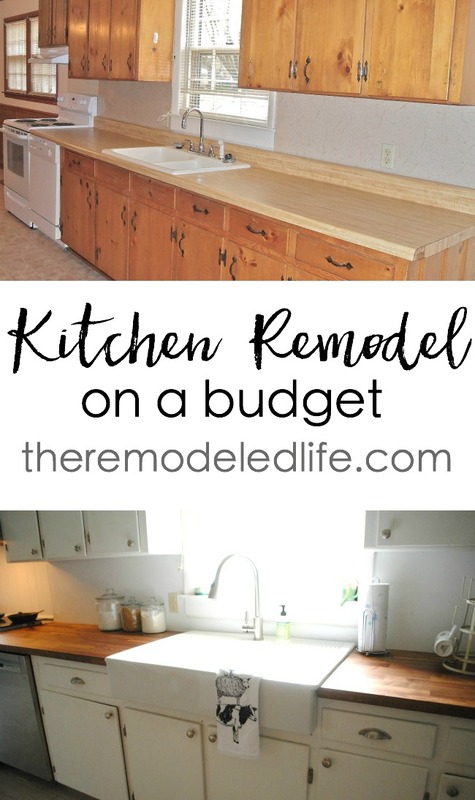 Remodeling a kitchen does not have to be the biggest deal ever and all those little things make a major difference. I'll share more soon about some of the little details!